A couple of weeks ago, I blogged about our review of the Mighty Mini Band that we got from Toytag, an online store of educational toys based in Singapore. 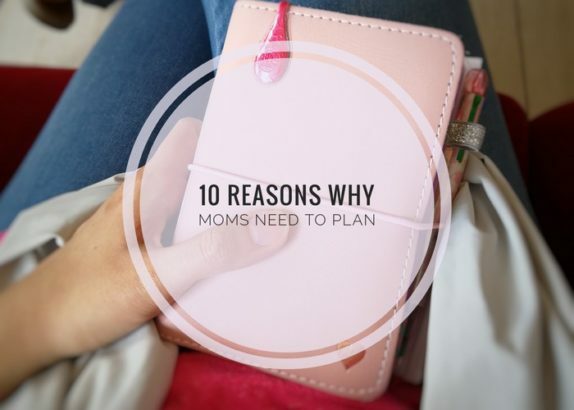 (If you haven’t read it yet, do click the link!). 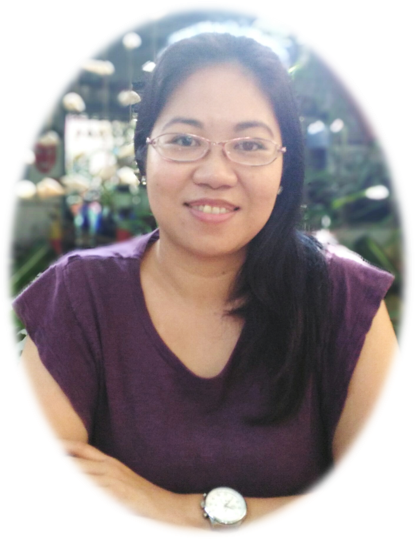 Today though, I would like to share a review of another toy sent to us by Toytag. This time, it was meant to be for my seven-year-old son, Ziggy. 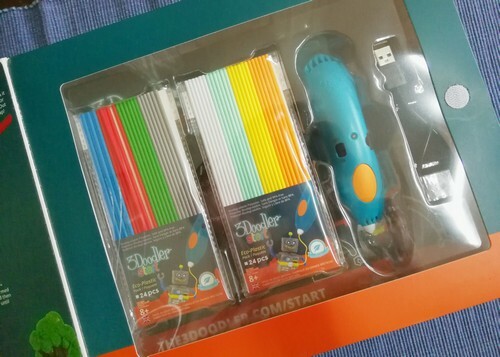 It’s called the 3Doodler Start Essentials Pack. Ziggy loves to draw and doodle. 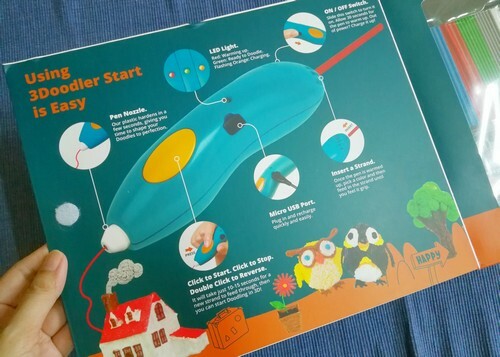 So when we got a chance to choose a toy for him from the amazing selection at Toytag, it really was a no-brainer that he selected the 3Doodler Start Essentials Pack. With this toy, he knew he’d be able to create cool things, and in 3D no less! 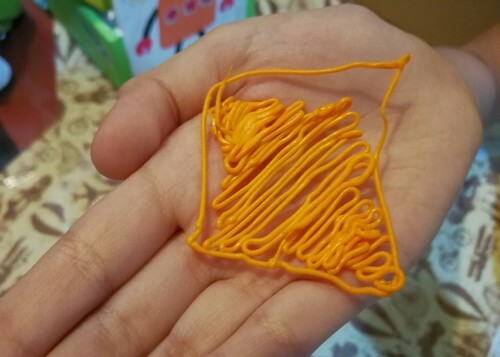 This toy basically allows kids to doodle anything in 3D. It’s a tactile learning toy that inspires creativity, design, planning, building, and spatial understanding. It really is the perfect toy for Ziggy because he learns best by doing stuff. It’s a great tool for STEM learning. If it’s award-winning, you know it’s a great toy for your child. This toy has won Toy of the Year 2017 – Rookie Category and winner of various other awards, including Good Housekeeping’s 2016 Best Toy Award, The Oppenheim Toy Portfolio Platinum Award, National Parenting Product Award, Scholastic Parent & Child GOLD STAR TOY Award, and Toy Insider STEM 10, among others. It’s completely safe for kids. The 3Doodler Start is specially designed to be clean & safe for kids aged 8+, with no hot parts or messy resins or glues to contend with. The plastic it extrudes are eco-friendly, made entirely from food grade materials, so it’s completely biodegradable, non-toxic and BPA-free. Plus, it cools and hardens rapidly. It’s easy to start using. This toy requires no software or technical knowledge. 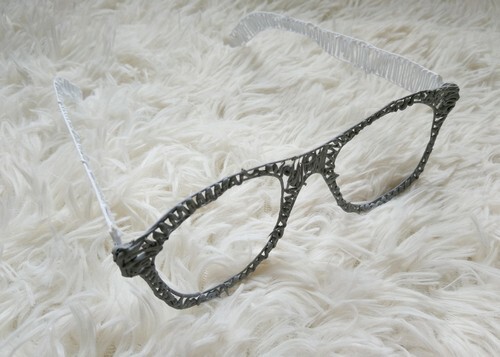 All you really need to do is to charge the printing pen, insert a strand then start doodling. You can use it while plugged in or wirelessly, if you wish. It has easy to follow guides. The Activity Guide included in the package was easy to follow. 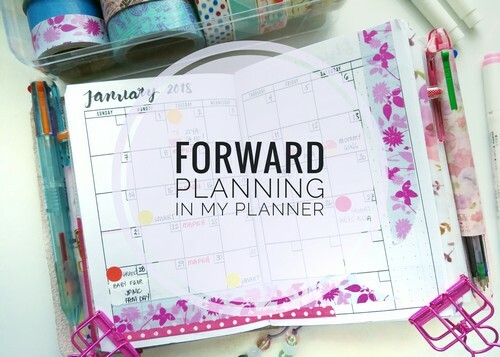 It contains several templates of different types of designs that kids can use. However, kids are not limited to these templates. The inside cover of the box also comes with an easy-to-follow guide. It’s a fun toy that sparks creativity. 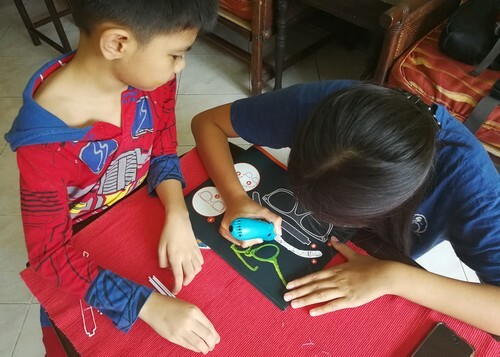 It’s a really fun toy that gives kids the freedom to create anything they want, from simple doodle shapes to amazing masterpieces that their brain can think of. The possibilities are endless. Since this toy was meant for Ziggy, he was the first to start using it. Set up was a breeze. However, when he started doodling he encountered some difficulty controlling the pen at first. He started doodling shapes to practice and as you can see below, his creation was crooked. I think that for younger kids like him, some practice is really required so that they can learn to doodle straight. Also, since the plastic dries quickly, the kid has to also be quick enough to manipulate it into shape when needed. Anyway, after Ziggy tried it, I asked my daughter Ziya to help him with it, just so we can see what the final creations will look like when done right. Ziya is already 15 years old so she has better control of her hands. Plus, she loves to doodle as well. This was her first creation. Not bad, right? She made this by following a template in the Activity Guide. Then she decided to make something a bit more complicated. 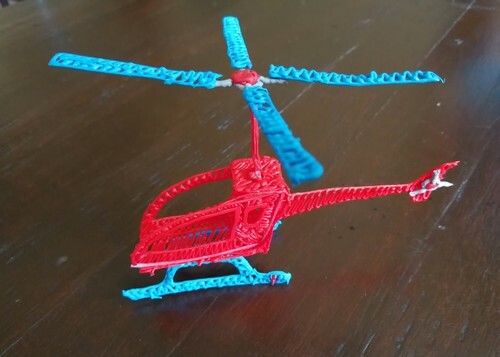 She used another template to create this helicopter for Ziggy, which he absolutely loves. Ziya really enjoyed using the 3Doodler Start Essentials Pack. One thing we noticed though is that although there’s a time allotment indicated per project, I think they are way off especially for newbie users. 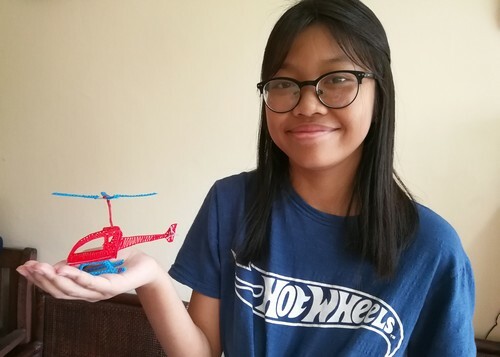 For instance, the helicopter project was supposed to only take 20 minutes but Ziya ended up doing it for an hour, to think she was already pretty good at handling the printing pen. Here’s a close up photo. Another thing to take note is that the kit contains 8 colors of the eco-friendly plastic sticks, with a total of 48 pieces. We had more than enough to complete the two projects. There are a few more left. However, I don’t think 48 pieces are enough to complete all the design templates in the guide. You’ll have to buy more. 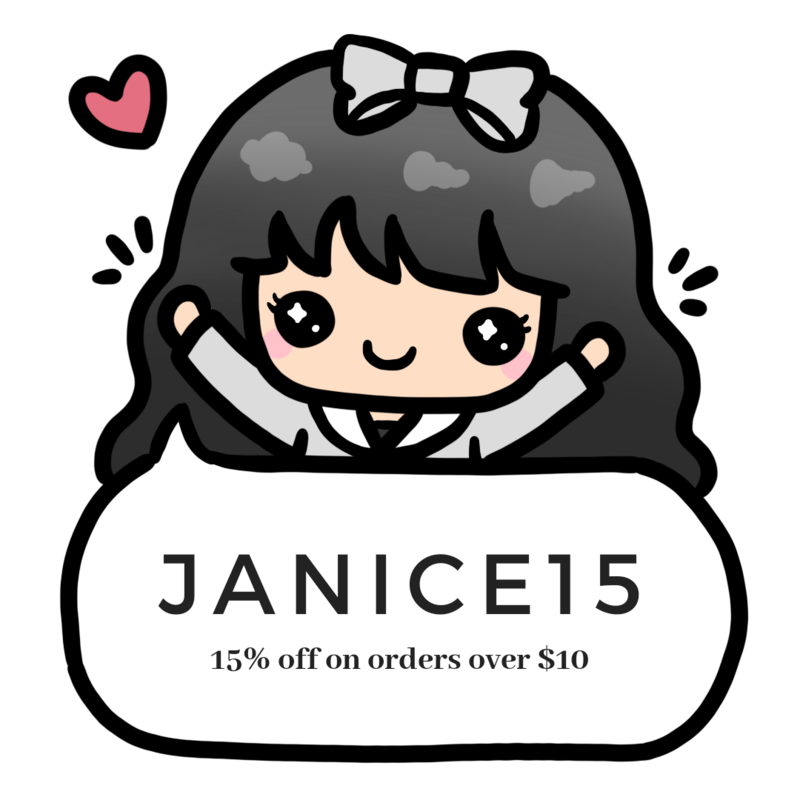 There’s actually a total of 16 colors in all, which you can purchase from Toytag as well. 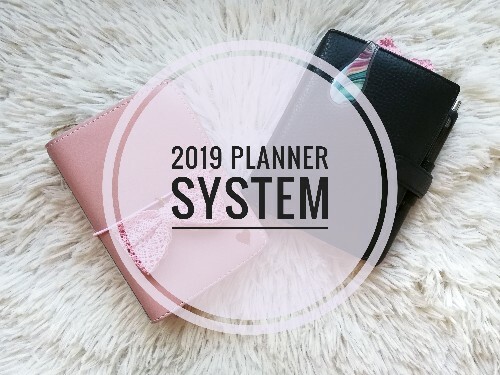 I also learned that there are even more accessories to this toy that you can purchase, such as a leather pouch, a pedal, and a doodle pad among others. Plus, there are other more advanced kits too. Overall, we are happy with this toy. I’m sure that with practice Ziggy will be able to use it more. 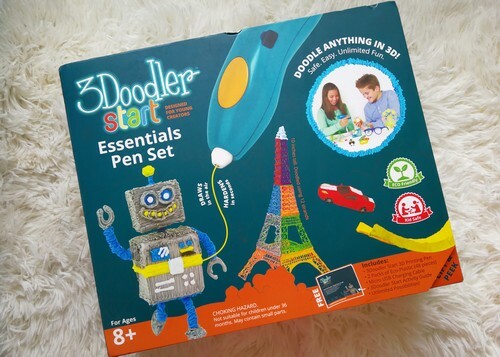 To learn more about the 3Doodler Start Essentials Pack and other educational products, visit Toytag now. oh wow! that’s such a cool toy. my kids would definitely have a blast with that one, pero baka hindi na umabot sa kanila haha! Baka ako ang unang maglaro. Kidding aside, Judah and Lukas will really love that toy. So cool! If I have this I feel na makikipag-agawan ako with the kids. I love project boxes like this one, hindi lang basta plain toy na nabili.